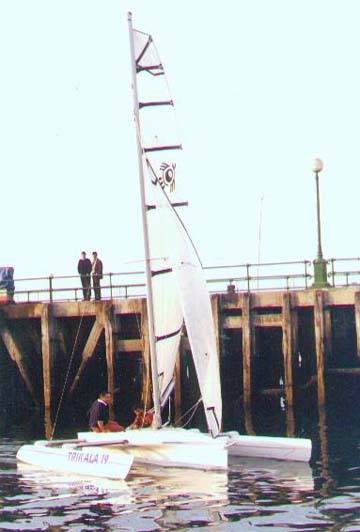 19' trailerable trimaran in composite construction. 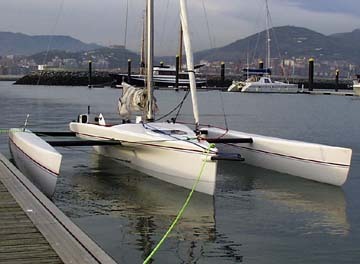 This 19' trimaran is a development of the earlier Trikala 19 which was in production in Spain for a short while. This is a great first composite construction project. The plans come with full size patterns and all the laminating information needed. 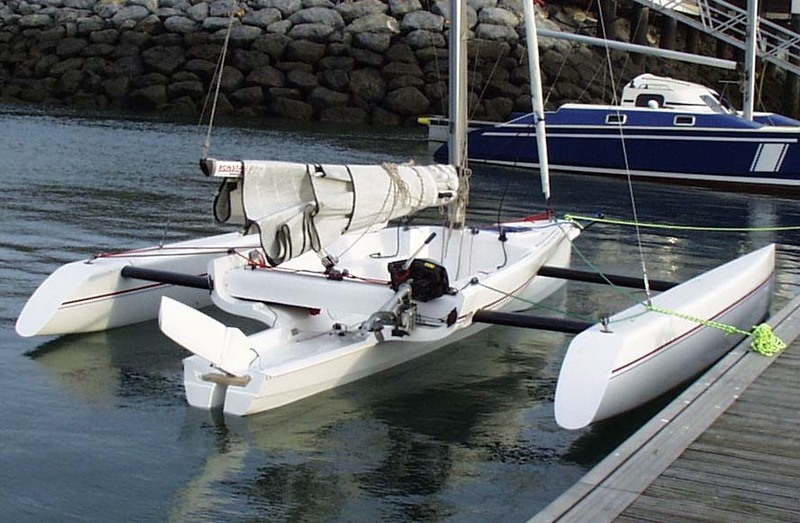 The design program called for an easily trailerable trimaran that would match performance with similar sized beach cats, but offer more comfort. You can hike out if you like, or not. It will seat four people. Unlike on a beach cat, you can bring the kids and a picnic basket. 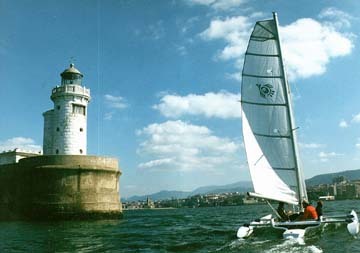 The 19 was designed to be a daysailor, with storage inside, but the couple above managed to put a snug double berth in it and cruised the Med with it. 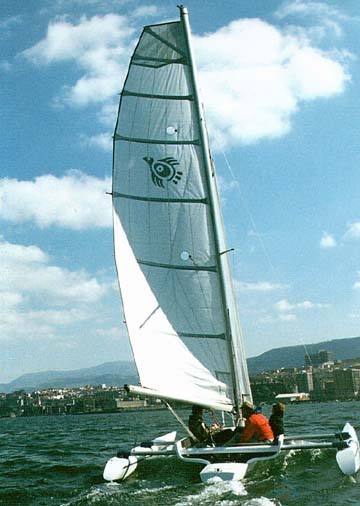 Notice below that the overall width is easily adjustable. The amas simply slide together. 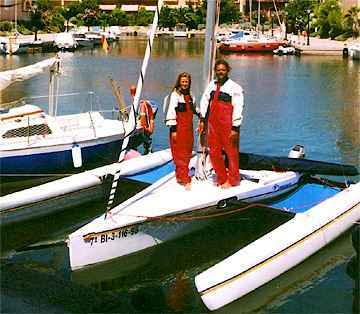 There is no reason to accept the disadvantages of an expensive folding system. Shellbacks have noted that the tubes must bind up when they slide. Mikel, the developer, worked out a nice system with teflon cleats that the tubes run on.